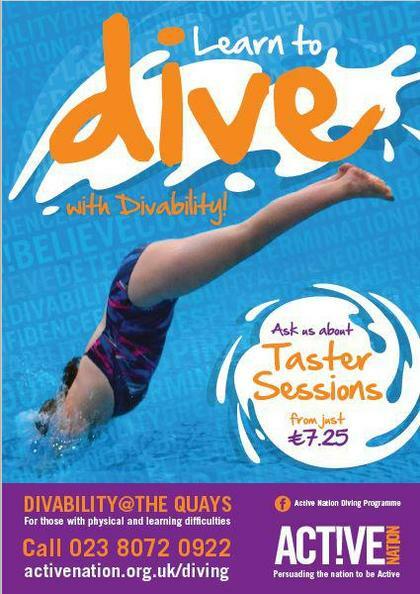 The Divability programme is run at the Quays Swimming and Diving complex. They offer 30 minute springboard/platform diving sessions aimed at those with a physical or learning disability, who are unable to participate in mainstream lessons. They currently have divers with a range of disabilities (such as ASD, Cerebral Palsy and speech and language disorders) who take part . These sessions take place in a much quieter pool environment, with smaller diver to coach ratios. For further information Call 023 8072 0922 or visit: activenation.org.uk/diving.